A few years ago I hosted the Valentine’s Day edition of HWR, and it remains one of my favorite weeks to host. Love makes the world go ‘round, whether it’s our spouse, kids, family, friends, pets, or professional passions. So, here’s to all the loves in our lives including our passion for policy. If we are going to talk about a passion for health policy, our first post must go to Anthony Wright at Health Access Blog who writes a moving and fitting tribute to the passing of one of the leading lights in health policy, Peter Harbage. 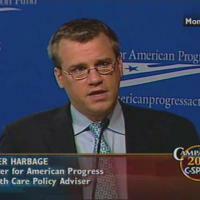 Anthony tells us that Harbage was an early evangelist for the individual mandate; he helped in making it a conservative bulwark against reform to a workable progressive proposal that got enacted in law. In particular, he helped get a major Presidential candidate to offer a comprehensive health reform proposal, which was a key moment in getting to where we are today. Thank you, Anthony, for calling this to our attention. Let’s start with hot: Obamacare. Maggie Mahar at Health Beat has a great post that tells us, despite reports to the contrary, the individual mandate is not dead. In fact, be assured that if you aren’t covered they’ll either fine you or, far more likely, get you covered. Maggie tells us, “Obamacare’s critics are claiming that the individual mandate is now so riddled with loopholes and exemptions that the administration has silently repealed it (Bloomberg) Reform’s foes argue that as a result of new rules waiving penalties millions will escape the fines that those who choose not to purchase insurance were supposed to pay. But getting a waiver is not as easy as it might appear. In fact, many of those who would be eligible for a hardship exemption would qualify for generous subsidies that would slash their premiums.” Click over to Maggie’s post for the details. Now on to heavy: SGR is one of the toughest problems in doc payment today. Jason Shafrin at the Healthcare Economist gives us a quick explanation of the sustainable growth rate payment calculation, or SGR, for Medicare physicians. According to the BBA of 1997, Congress is supposed to adjust the Medicare doc rate every year but every year, like clockwork, it votes to ignore it because the SGR would require a significant reduction in payment. Jason explains what is wrong with the SGR and how to fix it. The SGR is neither sustainable, nor does it allow for growth. Perhaps it should be renamed the unsustainable retraction rate? Louise Norris at the Colorado Health Insurance Insider has some very practical advice about what to do when your insurance doesn’t insure you in an emergency. Louise explains what to do in an emergency out of network situation when the provider tries to balance bill over what the insurance company will pay. Out of network? Take heart. There may be a way to get paid depending on the state in which you live and some other factors. Read the fine print as well as Louise’s blog for more 4-1-1 on 9-1-1 situations. From emergency payment to the less urgent but still important sick day pay, the National Center for Policy Analysis Senior Fellow Devon Herrick offers us an idea on how to restructure the system, by suggesting using a Health Savings Account for funding sick days. Click over to the NCPA’s Health Policy Blog and find out more. Even though we didn’t have a contest, this post wins for best Valentine’s Day submission for sheer…dare I say it?…cuteness. Along with the high “aw, shucks” factor, Dr. Jaan Sidirov’s Population Health Blog draws health reform lessons from the mea culpa that was just issued by the American Board of Internal Medicine over its maintenance of certification requirements. Take away a lesson about the value of grass roots action and the waning attractions of an aging shiny red Corvair. Curious now? Head on over. For Valentine’s Day, show your love to nurses by losing a few pounds. How? Find out at Workers Comp Insider where Julie Ferguson talks about some of the reasons why nursing is one of the most dangerous jobs in America. David Harlow at Health Care Law Blawg takes on a huge issue in the world of health IT policy this week, and that is the Anthem data breach. David says it is way past time we do something about shielding the identity of patients. “There are many things to be learned from the Anthem breach, but the top learning for health wonks has got to be that it’s high time for Congress to stop blocking the implementation of a unique health identifier. (We’ve been having this conversation for at least 17 years.) That is the reason social security numbers end up getting used as patient identifiers, linked with names and dates of birth; therefore, that is the reason medical identity theft is such a lucrative business for hackers. Data minimization, facilitated through use of a unique health identifier, would help reduce this exposure. Encryption would help too, of course, but hackers who exploit human factors will not necessarily be stopped by encryption,” David says. Roy Poses comes up with a great topic for discussion this week, just maybe not over your romantic, candlelit tete-a-tete on Saturday night. Seeing little other recourse to reverse their loss of power to practice independently, physicians in the University of California health system strike, not for money, but to be able to care for individual patients as….well… individuals and to gain back some professional autonomy. This raises some interesting issues especially because professions have historically remained outside any type of collective bargaining since it is antithetical to the basis of professionalism (some might say). However, this move by the UC docs also speaks to the role of unions as a countervailing force in the constant power struggle between large, powerful employers and industries and their employees. There is a lot here to consider so head over to Health Care Renewal and chew on Roy’s blog before you head out for your romantic dinner this weekend. Finally, this entry on gender bias in scientific research holds a special place in my heart this week. We have a houseguest who is a young woman leaving for a position at the NIH next week in neuroscience research and she found this of particular interest. In this post from Wing of Zock , Ann Bonham, PhD and Diana Lautenberger, MA counter genetic bias against women, both as authorities in scientific inquiry and as study subjects in medical research. “By acknowledging the cells of women in research as a sound scientific practice, we can extend our thinking to acknowledge women in science as a sound cultural practice,” they write. Thank you for reading. Have a Happy Valentine’s Day! Outstanding job, Peggy! Thanks for hosting, and for including our post.